Annotation: Build essential skills while having fun with Home Workbooks! Now updated with fun, colorful pages and engaging art, each book measures 7" x 9.25" and is filled with 64 pages of age-appropriate activities, puzzles, and games. These teacher-approved books are perfect for home, school, summer breaks, and road trips! 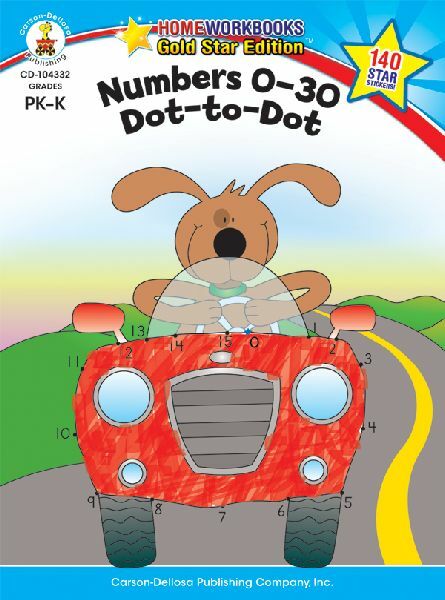 Skills covered include number sequencing, number recognition, hand-eye coordination, fine motor, and more! An incentive chart and 140 full-color stickers are also included to help parents or teachers track student progress. Home Workbooks are available for prekindergarten through grade 3 students, and feature titles in a wide variety of skill areas to suit any need.